the cucake and the PINK! Beautiful card Sylvie I really love the gorgeous colours, the cake looks delicious and I adore that bunting. Wow there is a party in pink happening on your card Sylvie. Fabulous! Lovely card Sylvie and who doesnt love cup cakes?? Very very pretty card. Well done on your weight loss. A beautiful card Sylvie - the cupcake looks delicious! Love the banner and the beautiful papers. 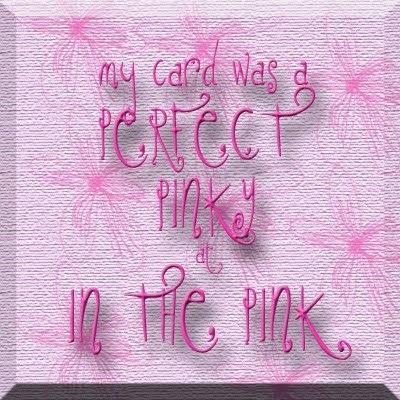 Love your gorgeous pink card Sylvie. Gorgeous card... 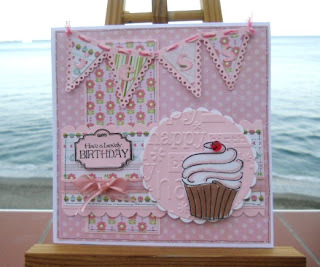 I love your layout.. and the fab embossing behind that yummy cupcake (mmmmm!) too.. I also love that bunting! 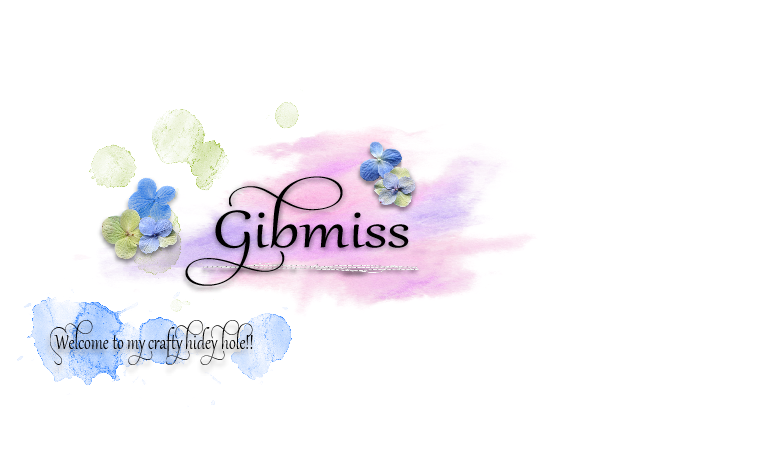 Sorry, me again!! 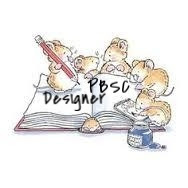 Forgot to say thank you for joining in our very first challenge.... We're really excited to see so many people joining in - good luck and hope to see you again soon! 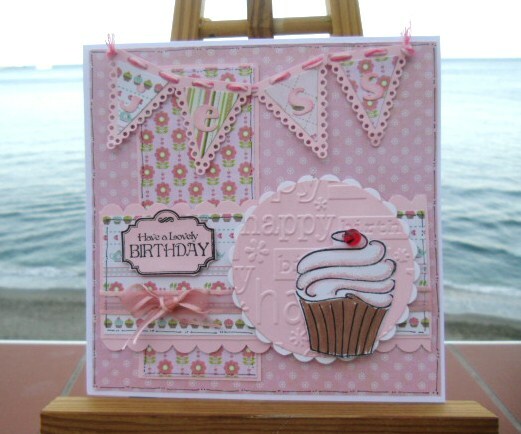 Hi Sylvie, this is an adorable card and what a beautiful take on the challenge! So pretty Sylvie - as are all the cards I've missed since my last visit. Hope to be back to normal with visiting now.